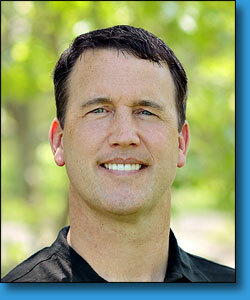 welcome to Chad Barth DDS! 400 E Red Bridge Rd. We’re here to make you feel like you’re one of our own. for a record breaking, fantastic season! We are a compassionate office that understands our patients are relying on us to be friendly, caring and prompt. We strive to provide quality dental care in a relaxed environment with careful attention to detail. We pride ourselves in seeing our patients as family and not just another mouth. In addition, we take special interest in helping the fearful or sensitive patient, who may have had a negative experience in the past. Our goal is to transform their view of dentistry and to educate them about the connection between oral health and whole body wellness. We are pleased to welcome the patients of Dr. Michael LeSage and Dr. Robert Molinaro! In 2014 and 2015, Dr. Barth acquired the practices of Dr. Michael LeSage and Dr. Robert Molinaro. He is excited to continue the wonderful care that Drs. LeSage and Molinaro have provided their patients for over 40 years. Not only are we devoted to our patients, we also enjoy participating in many community outreach programs and we embrace our responsibility to give back to our public. We are proud to be a part of Give Kids A Smile® annually and we participate often in GKAS events and even hosted an event in 2012. Each year on the first Friday in February, thousands of the nation's dentists and their dental team members provide free oral health care services to children from low-income families across the country. While the first Friday of February is the recommended event date, Give Kids A Smile programs can be successfully conducted during any month of the year. Some dentists may choose to pick another date that is more convenient to their schedule. Besides enhancing the oral health of thousands of children every year, the ADA's Give Kids A Smile® program also strives to educate policymakers about the ongoing challenges disadvantaged families face in finding dental care. Find a program today! The Missouri Mission of Mercy (MOMOM) and Kansas Mission of Mercy (KMOM) are periodic large-scale dental clinics that provide free oral healthcare to patients of all ages who cannot otherwise afford care. Since 2000, MOM events across America have provided free dental services for more than 100,000 undeserved patients and nearly $50 million in free dental services since inception. Both Drs. Barth and Nunemaker enjoy participating in MOM events and giving back to the commmunity. Recycling and environmental awareness practices are close to our hearts. Dr. Nunemaker won an Environmental Excellence Award from Bridging the Gap, a local environmental non-profit group, that provides services and educational programs throughout the Kansas City area. He was honored for his efforts for improvements in our field and the world we live in and is our building's "unofficial" recycler, collecting from other offices and delivering to area recycling centers. Check out our: "Exciting News" section to see what we've been up to lately! Dr. Barth is a born and raised Kansas Citian. He attended Shawnee Mission Northwest High School followed by Kansas State University. He obtained his dental degree in 2004 from the University of Missouri at Kansas City. After receiving a dental scholarship with the United States Air Force, he spent 2005 at Keesler Air Force Base in Biloxi, Mississippi where he completed a one-year residency in Advance Education in General Dentistry (AEGD). His next duty station was in Destin, Florida at Hurlburt Field Air Force Base before he returned to Kansas City in 2007. He enjoys the diversity of general dentistry and has extensive experience in endodontics, oral surgery and esthetic dentistry. Upon his return home, Dr. Barth began working with Dr. Merle Nunemaker and later took over the practice in 2013. 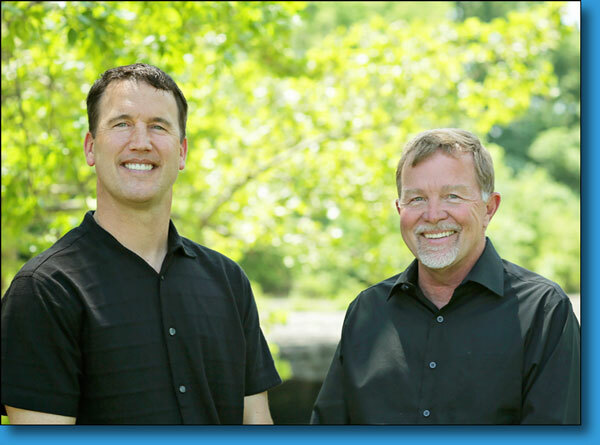 In 2014 and 2015, Dr. Barth acquired the practices of Dr. Michael LeSage and Dr. Robert Molinaro. He is excited to continue the wonderful care that Drs. Nunemaker, LeSage and Molinaro have provided their patients for over 40 years. Dr. Barth married his lovely wife Leah in 2013 and the years since have been just as eventful. Dr. Barth's family grew in 2014 with the birth of Jonathan and again in December 2015 with the addition of twin daughters, Charlotte and Elise. Feel free to ask the proud papa for new pictures of his young family. Outside of the office, he enjoys participating in the community at Church of the Resurrection and through projects like Habitat for Humanity. Dr. Barth stays active playing softball, golf, and enjoys running in half marathons. He also has fun cheering on his K-State Wildcats, KC Royals and KC Chiefs. Dr. Barth is a member of the American Dental Association, the Missouri Dental Association and the Greater Kansas City Dental Society. In addition to his practice, Dr. Barth has been grateful for opportunities to volunteer with KMOM (Kansas Mission of Mercy), MoMOM (Missouri Mission of Mercy) and Give Kids a Smile, which all provide dental care for underserved populations. A past President of the Missouri Dental Association, Dr. Nunemaker has been active in organized dentistry for many years at the local, state and national levels. He has held different positions including President of the Greater Kansas City Dental Society and has represented the Missouri Dental Association in Washington DC, as well as American Dental Association conferences. He previously was the Legislative Chairman for the MDA. He is a Fellow in the American College of Dentists and the Pierre Fauchard Academy. He has also won a local Environmental Excellence Award. 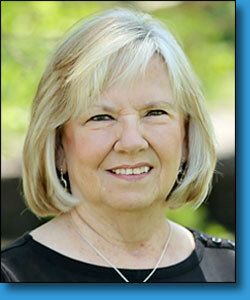 Dr. Nunemaker has been married to Vicki Lynn Miller since 1988. They have a son, Tyler, who received his degree in mechanical engineering from the Missouri University of Science and Technology, and is employed by Kiewit in Lenexa, KS. Their daughter, Kayla, graduated from the University of Missouri – Kansas City with a degree in Secondary Education. He also has a son, Matthew, who completed his nursing degree at Rockhurst University, and is employed by the Cerner Corporation. 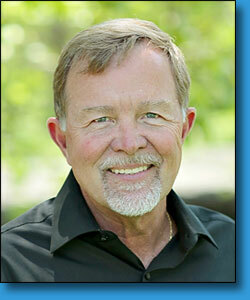 Born and raised in Topeka, Kansas, he graduated from the University of Kansas, then received his dental degree from UMKC, and has been practicing dentistry in Kansas City, Missouri since 1977. 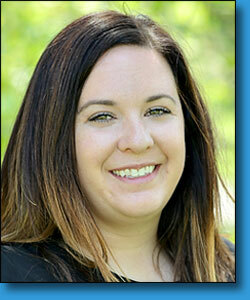 Stephanie has been with our office since December of 1997. She is a native of Kansas City, by way of Austin, Texas and now lives in the Waldo area with her soon to be husband, Chris. Stephanie enjoys anything having to do with trivia, music and gardening. She is also an avid MIZZOU, Chiefs and Royals fan. Working in an atmosphere that focuses on patient care and overall health is where she thrives. Stephanie's co-workers, as well as her wonderful patients, constantly inspire her. Jennifer is a Kansas City native, and currently lives in Lee's Summit, MO with her husband, two children and Golden Retriever, Princess. 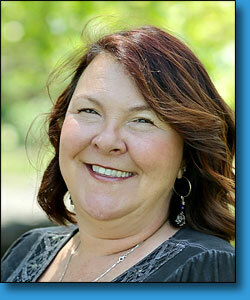 She loves spending time with her family and enjoys the outdoors, biking and travel. She is a University of Missouri at Kansas City Alumni and obtained her Bachelor of Science in Dental Hygiene in 2007. She began at this practice shortly thereafter. Thorough, yet gentle, patient care is Jennifer's highest priority. Valerie's assisting career started in Ohio in the 70's. Her profession has been filled with general dentistry, periodontics, oral surgery and endodontics. Her husband and she have three sons, a daughter-in-law and one precocious grandson. They have been in the Kansas City area for over 20 years. Their loves are camping and traveling. 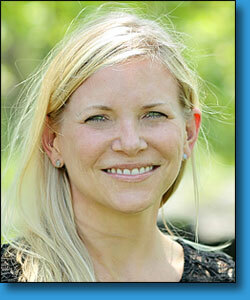 Valerie has been working with Dr. Barth since 2007. She thoroughly enjoys the people she works with and the patients we serve. 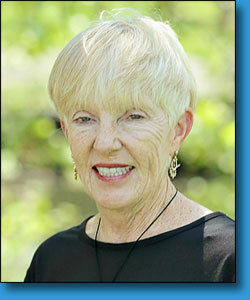 Katrina has practiced dental hygiene for over 35 years. She has lived all over the U.S. and abroad following her career Army husband, Brian. They have lived in Kansas City since 2008. They enjoy traveling, outdoor activities and discovering all the great things Kansas City has to offer. 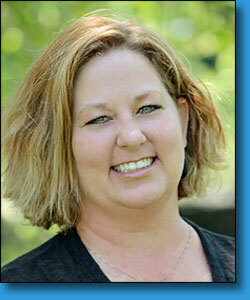 Dawn is a Colorado native and currently lives in Belton, MO with her husband and two dogs: Duke & Bailey. Her son is currently serving in the US Navy, Tacamo Division and is stationed in Oklahoma City, OK. Her daughter is studying at the University of Missouri, majoring in Animal Science with hopes of being a veterinarian. In her free time, Dawn enjoys quiet evenings with her husband who loves making gourmet meals. She also enjoys shopping and walking through the buildings at First Friday's downtown and the cute Antique shops throughout Louisburg.Dawn feels a close bond with the people she works with and the people we serve. Joanie is a Kansas City native who grew up in Brookside and currently lives with her husband Bob, of 49 years in South Kansas City, MO. She has 2 children and 6 grandchildren. The thing Joanie loves most is spending time with her family and following her grandkids sports. 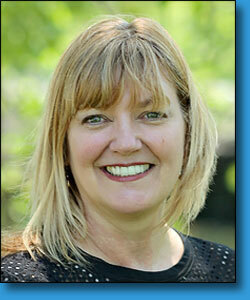 Joanie has worked for Dr. Barth for 3 years and loves her job, co-workers and the patients. Morgan is from Marshalltown, Iowa and currently lives in Harrisonville, Missouri with her husband, daughter, and two dogs. Morgan has 5 younger brothers and 1 sister. She enjoys spending time with her family, attending sporting events, and arts and crafts. Morgan is an avid Iowa State Cyclones fan, her family has been basketball season ticket holders for over 20 years. 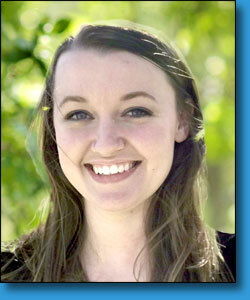 Elizabeth was born and raised in the Kansas City area. She has been an active part of the dental field for 8 years. She started as a dental assistant where she quickly became passionate about dentistry. Her passion inspired her to further her education by becoming a Dental Hygienist. In her spare time she enjoys spending time with her husband and daughter doing outdoor activities. She enjoys weekend lake trips and snowboarding. Below, you will find some helpful forms and Patient Education PDFs. Click on the links, below, to view the appropriate forms or informational sheets. To download, right click on the link and select "Save file as..." and choose where you'd like to download the files to. 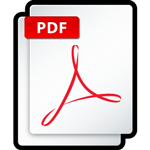 If you don't currently have Adobe Acrobat Reader on your computer, click on the icon to the left to download a free version.